Daytona, FL –The traditions of the 24 Hours of Daytona will be revived and relived at full speed on the high banks and infield road course of Daytona International Speedway from November 12-16, 2014 at Historic Sportscar Racing’s inaugural Classic 24 race weekend. The inaugural HSR Classic 24 Hour Daytona vintage races are dedicated to cars and drivers that raced in Daytona’s classic endurance races of the past. High speeds, high banks and a long night of six period-correct race groups competing on a rotating schedule, the Classic 24 is open to all significant Daytona sports cars that raced from 1961 through 2010. The Classic 24 Hour Daytona 2014 will be the longest and the toughest vintage and historic car race in North America, an American-flavored version of the Le Mans Classic 24 hour historic car race that runs every other summer on the famous Le Mans 24 hour circuit in France. Competitors will race on the full nine-turn, 3.56-mile Daytona 24 Hour road-oval circuit that includes the infield road course and the steeply banked 2.5 mile Daytona “tri-oval”. Since 1966 the 24 Hours of Daytona has been a premier fixture on the international racing calendar. Originally the opening race of the World Sports Car Championship the Daytona 24 Hour has long been a magnet for European and Asian racing teams. A fleet of European Group C prototypes from the 1980s is expected, along with a cadre of Daytona’s endurance racing’s all-stars. Five-time Daytona 24 Hour winner Hurley Haywood leads a cast of Daytona superstars who will race in the inaugural Classic 24 on November 15-16, 2014. Joining Haywood on the Classic 24 grid will be Porsche factory racer Patrick Long, 1989 Le Mans winner Jochen Mass, Daytona, Le Mans and Sebring winner Andy Wallace, three-time Daytona 24 Hour winner Brian Redman, Brian Johnson (Lead Singer, AC/DC), two-time Daytona 24 Hour winner Elliot Forbes-Robinson, Forest Barber, World Touring Car Champion Dieter Quester, Sebring 12 Hour winner John Fitzpatrick, grand prix and sports car ace Arturo Merzario, two-time Grand-Am GT Champion Leh Keen, GTD Championship-leader Cooper MacNeil, Rolex 24 winner Rob Dyson and son Chris Dyson in one of their Rolex 24 winners. An early Classic 24 entry is the Porsche 934 raced by the late Bob Wollek in the 1976 and 1977 World Championship in races such as the Le Mans 24 Hours and 1,000kms of the Nurburgring. The Classic 24 Hours’ six race groups will be organized chronologically and correspond to the history of the 24 Hours of Daytona and its ancestor, the Daytona Continental. 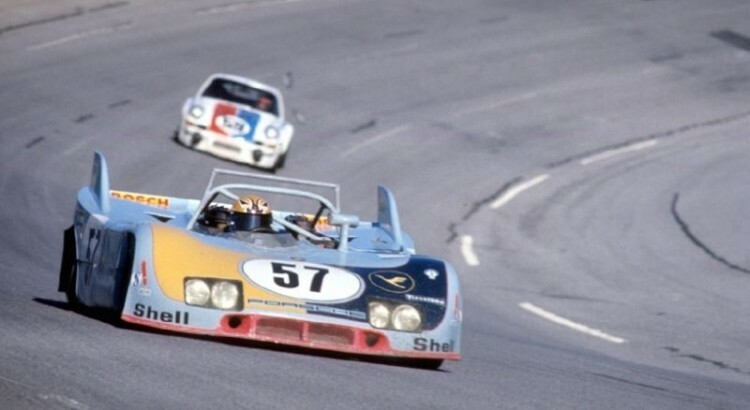 Group A – Sports racers, prototypes and GT (Grand Touring) cars from 1960 through 1972. Corvettes, early Porsche 911s and Ferraris. Group B – Cars from 1973 through 1982 – Corvettes, Porsche 934 and 935 Turbos, BMW 3.5 CSL. Porsche Carrera RS and RSR. Friday November 14th will feature a full slate of HSR races starting at 8:00 AM with qualifying races for the Classic 24 beginning at 9:30 AM. Friday’s races conclude with the 5:00 PM Bob Woodman Tires International/American challenge. Weekend passes start at $35.00 per person. For more information, visit Classic24Hour.com.